Get to know the Derrick Builders team and discover why we are one of Central Florida’s leading custom home builders. Explore the magical community of Golden Oak. See what we’re building at Four Seasons Private Residences Orlando at Walt Disney World® Resort. View our extensive home gallery including a special collection of magically-themed rooms. 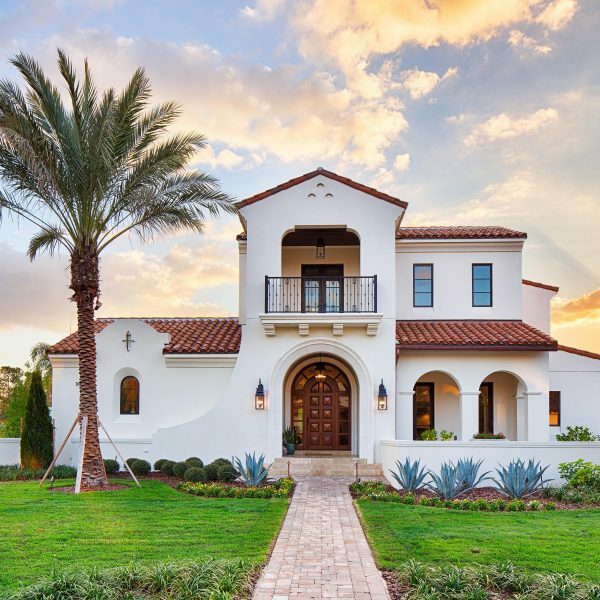 Derrick Builders is a leading luxury custom home builder in Central Florida. We are a selected builder at Golden Oak at Walt Disney World® Resort and Four Seasons Private Residences Orlando at Walt Disney World® Resort. For over 25 years, we have built residences in the area’s finest communities, including Celebration, Baldwin Park, and Lake Butler Sound. View the gallery of our newest French-style custom residence in the Golden Oak community. See what we’re building in Golden Oak. We’re currently designing three new model homes. More details coming soon! View our gallery of homes. An extensive collection of interiors, exteriors, and magically-themed rooms. Sign up to receive our newsletter and get informed of the latest news and updates on our company, homes and communities.